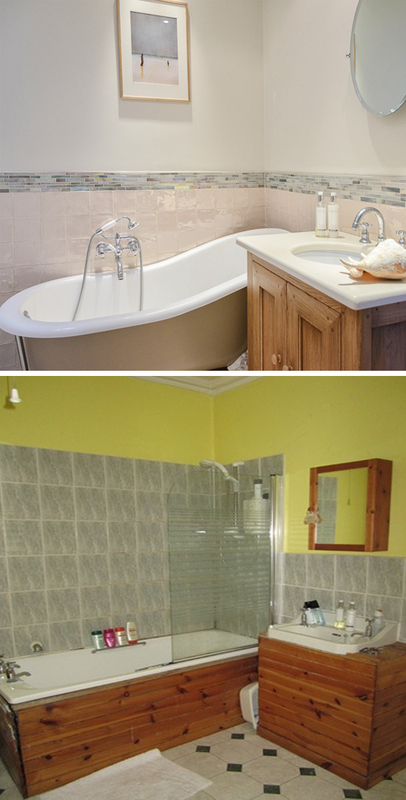 One of the things that gets the most interest on our Facebook page are the before and after pictures of our projects. 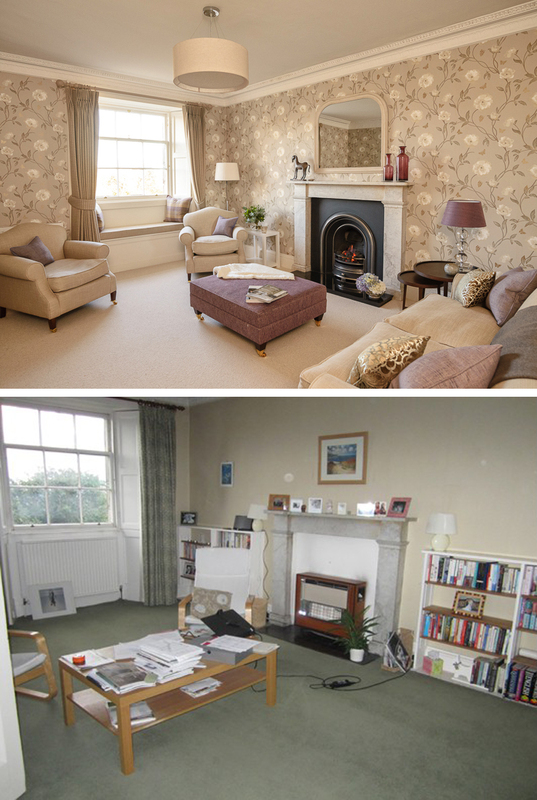 So here are some B&A’s from a lovely apartment in Edinburgh’s New Town. A lot of halls I see are badly lit with pendants which effectively just light a circle on the floor. 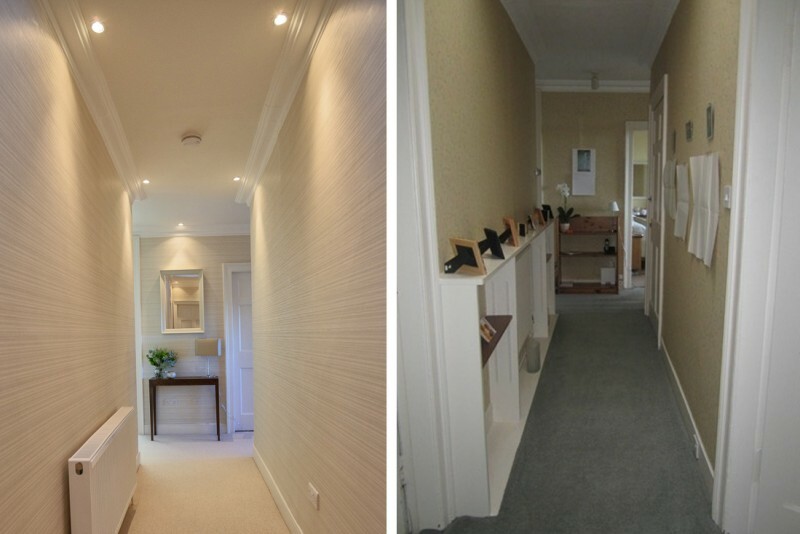 In a narrow area lighting the walls takes your eye to the edges and makes it seem wider. 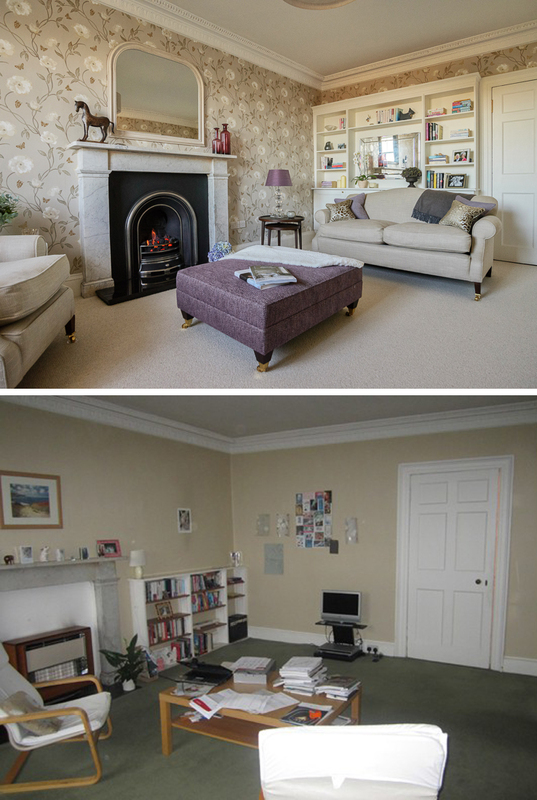 Apart from pulling together a creative scheme to suit our client the biggest improvement in this room was the renovation of the original marble fireplace and addition of a fire insert. The apartment has lovely views to Fife so a window seat was added for her to sit and read a book or enjoy the view. Built in joinery designed to be in keeping with the architrave in the rest of the apartment. Bye bye yellow bathroom, hello relaxing pinks and greys. Two small bedrooms were knocked together to make one large kitchen diner. It was big enough to make a sunny seating area shown above. 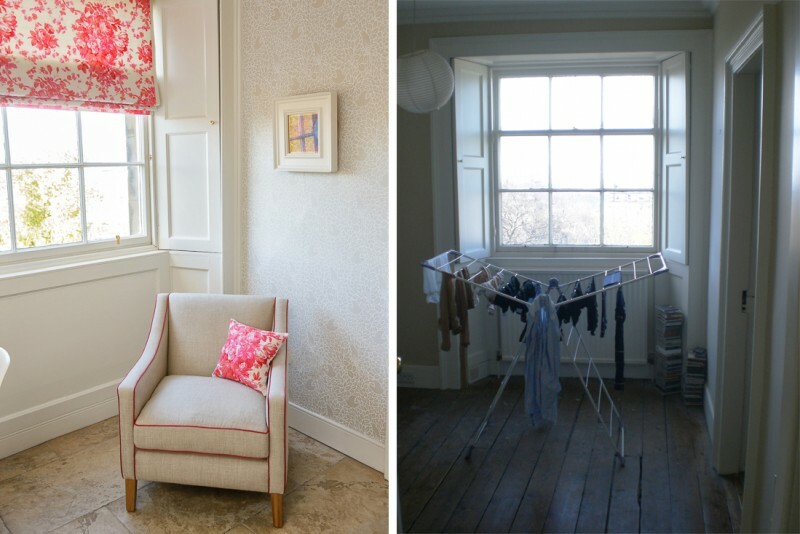 We took the pink colour in the blinds and piped the armchair with it to tie it all together. Sally Homan (Design Director) is an associate of the British Institute of Interior design and has developed a stunning portfolio of beautiful homes across the UK. Her work has been featured in many interior design magazines and she prides herself of working with each clients personal tastes to create their dream home.